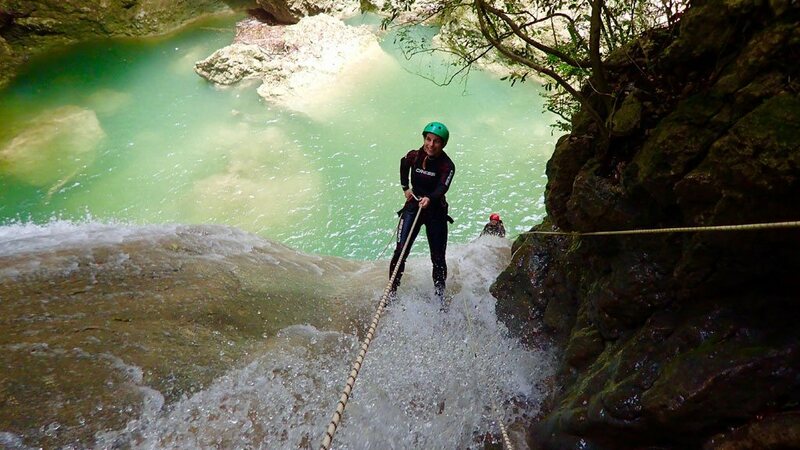 The perfect adventure for thrill seekers in the Dominican Republic! 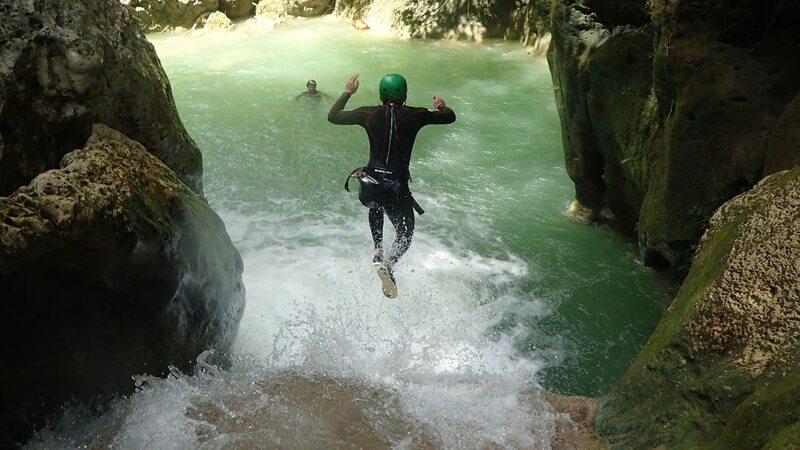 Cabarete, Dominican Republic is mostly known for its exceptional watersports conditions, but what you may not know is that amongst the luscious greenery of the mountains, is an exciting playground of river and waterfalls perfect for canyoning and cascading. Depending on your level of thrill seeking, we are blessed with a variety of locations all within an hours drive of our hotel. Each tour takes 2-3 hours which makes it the perfect pre-wind trip and also makes for a great rainy day activity. Below we’ve outlined the most popular tours and what you should expect. The most talked about of all the tours is the Magic Mushroom. 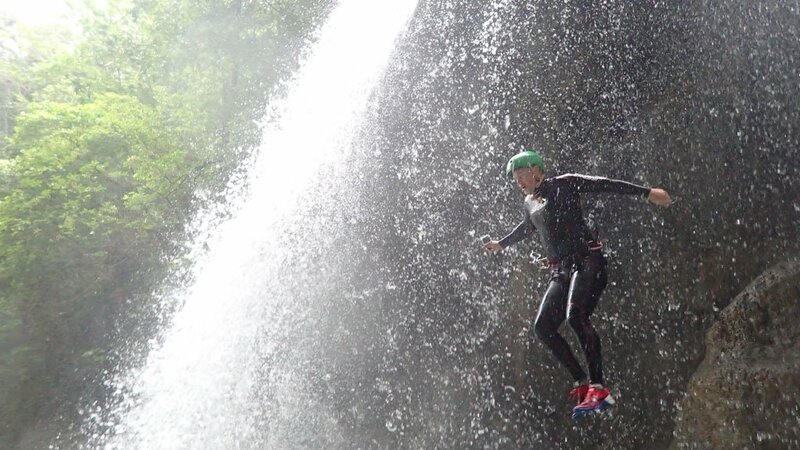 Named for its smooth round shaped canyon which cuts in, makes for the perfect 60m cascade and jump. This tour is the most family-friendly as it offers the widest range of choices. You can jump, slide down water chutes or simply walk around if you’re feeling a little nervous. Calling all adrenaline junkies, this is the canyon for you! Complete with a 60ft, you can see where the name comes from! But don’t stress, alternatively, you can rappel or jump from the lower platform at 49ft. Pass through 6 waterfalls with 12 jumps all offering different height platforms at the Ciguapa Falls. The biggest jumps are 30ft in case you’re feeling extra courageous! You’re on vacation so the less planning you have to do, the better! We have a number of tour operators such as Kayak River Adventures and Iguana Mama Adventure Tours that include transport and a delicious Dominican lunch, easy peasy! Just head down to our reception desk and we’ll be happy to set you up! The tour operators provide most of the equipment, however, there are a few things that if you have your own, will be more comfortable. As you are venturing through freshwater rivers and waterfalls in the mountains, the water can feel a little chilly. If you have your own 2mm or 3mm shorty or full-length wetsuit bring it along with water shoes or sneakers you don’t mind getting wet. But as we said, if you don’t have these, don’t fret, the operators will provide them. All you need to bring is a bathing suit, dry clothes and some money in case you would like a drink on the way. Finally, as much as the tours we’ve listed are suitable for novices, they all include hiking and swimming which means a reasonable level of fitness is required. Which of the above is your favorite tour? Let us know in the comments section below.